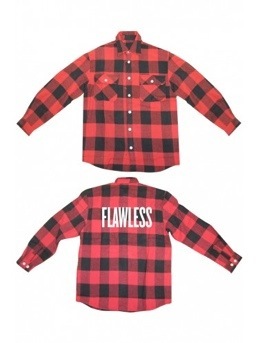 Beyonce Is Slanging Merch: Flawless Flannel | iamstylingonyou. Beyonce keeps dropping this awesome tour merchandise. Her album sweatshirts and tees and now the “Flawless” flannel from the second leg of her world tour is now available to purchase. For $75 you can cop it HERE, and stunt all over town (and social networks) in it. I’m sure were going to see TONS of people rocking it. Are you copping? ← Melody Ehsani Is Dropping An Apparel Collection..